This miniature finned tubing, pictured, was manufactured by Fin Tube Products, Inc. to work within low-temperature cryogenic or biomedical applications. We developed the individual tubing components to meet various customer product requirements. 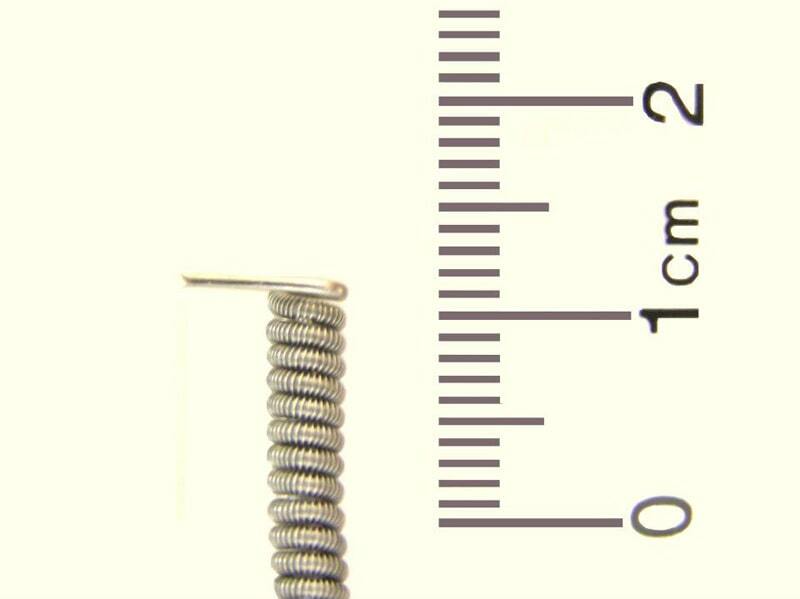 We currently manufacture 2,000 to 3,000 feet per month of these miniature parts, which are formed using a combination of helical winding, soldering, or Finbraze® operations. Meeting tolerances as low as ± .0003 of an inch, the tubes are constructed from a combination of industry certified 70/30 CuNi, copper, and stainless steel materials. The tubes are also annealed for easy coiling. Once fully assembled, the finished parts possess up to 142 fins per inch and weigh less than 1 gram. These finned tubes are tested in-house in accordance with the Fin Tube Products' quality control system. After manufacturing is complete, we package the tubing into sleeves and provide just-in-time delivery of all finished units to designated worldwide locations. 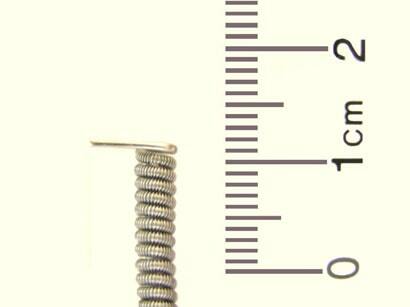 This Miniature Finned Tubing is used within low temperature cryogenic or biomedical applications. Individual tube characteristics have been developed in conjunction with different customer requirements. Material Thickness: .0025" to .008"
The Finned Tubes are tested in house in accordance with the Fin Tube Products, Inc. quality control system. Individual customer testing may be required. Certification of all materials is required.